" You shall teach them to your children, talking of them when you are sitting in your house, and when you are walking by the way, and when you lie down, and when you rise." 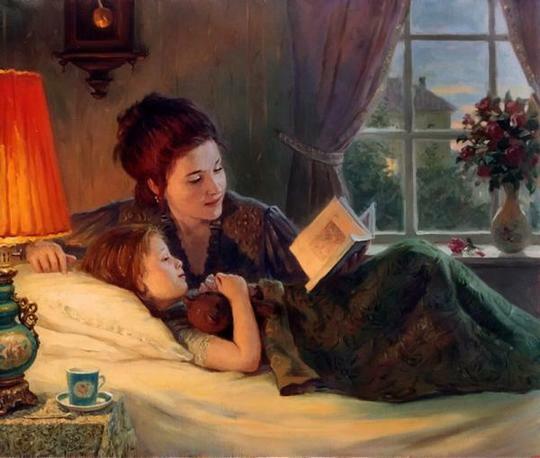 One of the things I have heard over the years is how hard it is for moms to teach their children scripture. Either they don't know where to start, they struggle with being organized, or they bite off more than they can chew and end up overwhelmed and ditching it all. Now everyone learns and teaches in a different way and we all need to do what is best for our own family. I personally have used several different methods along the way, have fallen short, have picked it up again, and continued upon the path of trying to instill God's word into their hearts. What I know I really would have appreciated is an EASY book that would have shared some simple verses that I knew we could study each day or week. I remember feeling very tired at the end of the day with lots of little ones and trying to look for Bible verses that they could memorize seemed very overwhelming at the time. I recently got the chance to browse through the ebook, God's Word in My Heart. And was quite pleased with what I saw. Finally an easy book for the everyday mom who didn't have time to read 500 pages of why she should teach a Bible verse, with memory verses laid out in a easy style with ideas on how to reinforce them for every age. I loved how it was simple and laid out in an easy way that would fit into a busy mom's life style, and being a mom that runs a business at home with a family of 10 it is truly appreciated. What is your biggest challenge teaching your children scripture? Please feel free to share your tips in the comments! I really love this site. Very encouraging! Thanks for taking the time to share knowledge with us that will bless our lives in such a positive way. Blessings to you. I really loved your post in my news feed on FB and then to hop over here and find it was my ebook that was featured was thrilling! Thank you so much for sharing--it was a great blessing to me today. 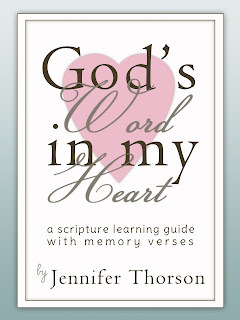 I'm so pleased that you understood my purpose for this ebook--simplicity, so the Word of God is magnified. Blessings!